While selecting a car to purchase, boot space accounts as one of the most important factors to consider. For those who have to travel frequently with family and a lot of luggage, buying a car with decent boot space is very crucial, so that they don’t have to compromise on luggage every time they travel. 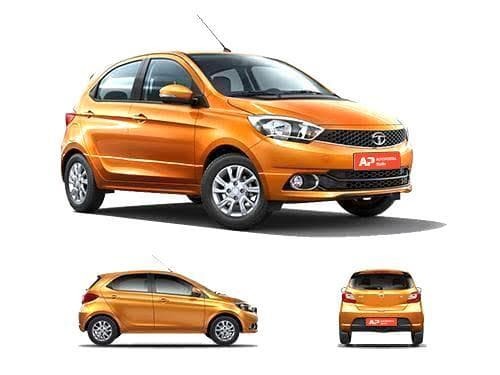 Tata made a comeback in the hatchback category with the fresh design of Tiago. Being in the budget car segment, we cannot expect it to have all the important features. However, the hatchback has enough plus points to make it excel over its competitors. One such feature is the spacious boot. The 245 L of boot capacity is sufficient enough to store two large bags and other smaller stuff, which is decent enough for a car at this price. The boot space of Tata Tiago compares with that of Maruti Suzuki Alto 800, Hyundai Grand i10, Maruti Suzuki Celerio, Renault Kwid. The boot space of Tata Tiago is 242 litres, whereas the boot space capacity of Maruti Suzuki Alto 800 is 177 Litres. On the other hand, Tata Tiago boot space competes to Hyundai Grand i10 with 256 Litres of boot space, and Maruti Suzuki Celerio having 235 Litres of boot. Generally, it's considered a great deal if the boot space capacity of a car is beyond 300 Litres, whereas, boot space below 300 litres isn't recommended if your primary goal of buying a car is boot space.